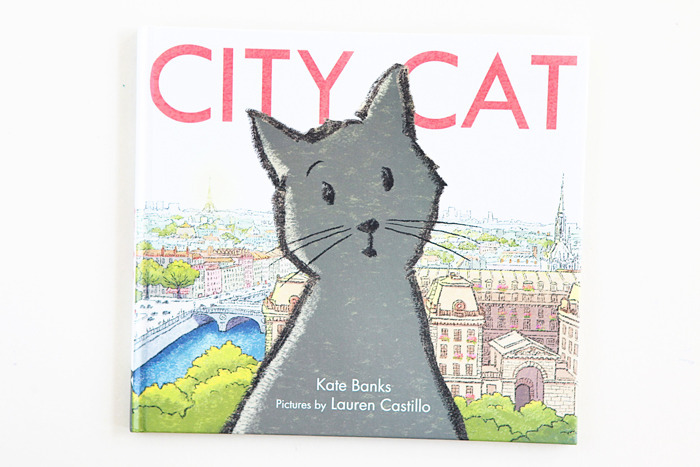 Written by Kate Banks and illustrated by Lauren Castillo, City Cat follows a family on a beautiful trip through Europe. City Cat tags along, traveling by hitchhiking on different modes of transportation, visiting sites and cultural landmarks in each city. 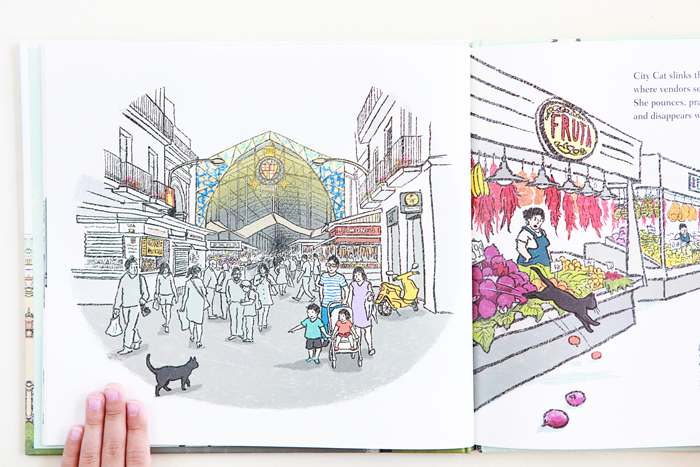 His trip is encapsulated in Banks’ lovely rhyme and Castillo’s warm and amiable sketches. The language is rich with a sophisticated lexicon, so if you're reading this with a young child, it would be good to read it at least a few times to explain the definitions and nuances of unfamiliar words. The ending is slightly wistful when you realize that City Cat doesn't have a place he calls home. He's a roamer. This book is a great introduction to a handful of major European cities with short descriptions at the end about the landmarks that City Cat visits on his journey. Click here for a preview of City Cat.